For something that is this simple to make, it packs in a lot of flavor, and can literally transform a boring dish into something tasty & peppy. 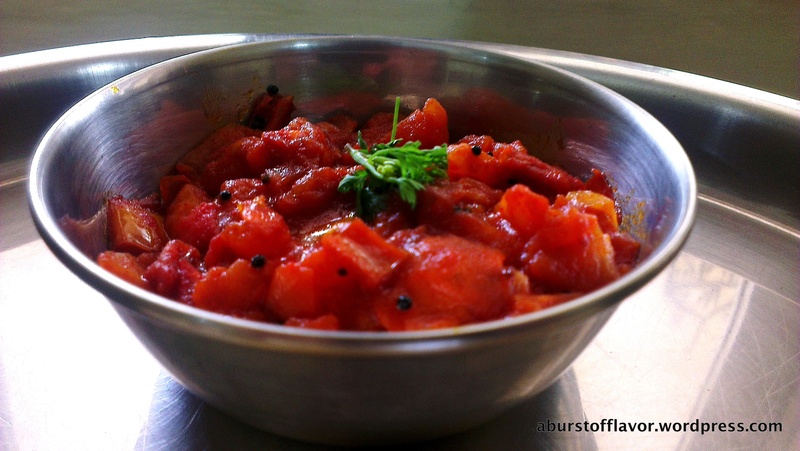 Also, you can put a tomato chutney to innumerable number of uses. Besides the general use as a side to Dosa, Idly, Uthappam, Upma etc., it can be used as a sandwich spread (like I did in my Sweetcorn Mayo sandwich), for gravy in vegetable curries, as a side for chapatti, to mix with rice, as a base for spaghetti sauce (yep, it works really well!) etc. In our home, my MIL makes it at least once a week. 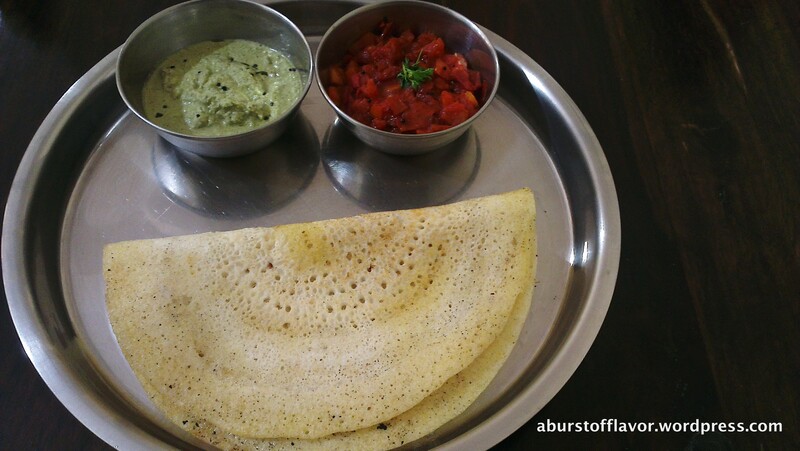 DH has it as a side with curd rice – that’s how much he loves it! Heat oil in a wide bottomed pan on a medium flame. Test the oil by adding one or two mustard seeds. If it splutters right away, your oil is ready. Add the rest of the mustard seeds. Allow to splutter. Add the chopped green chillies and sauté quickly for 3-4 seconds. 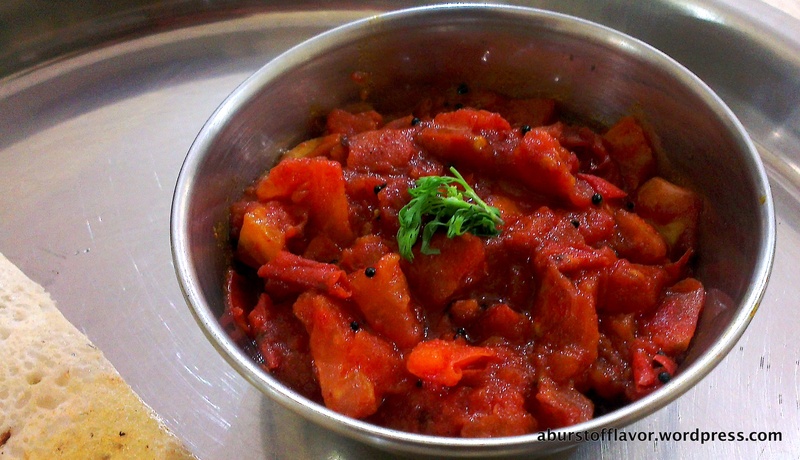 Add the Hing and immediately add the chopped tomatoes to the oil and mix well. Add turmeric, chilly powder, salt and sugar. Mix well. You can add more water or less at this stage depending on what kind of consistency you want your chutney to be. Let this mixture cook for 3-5 minutes until the oil separates and floats on top.